Burg Wachter Solid Brass Body Hardened Steel shackle, double bolted Rustproof Interior..
Burg Wachter Solid Brass Body Hardened Steel shackle, double bolted Rustproof Interio.. Solid brass body with plastic cover Stainless steel shckle, double bolted Sea-water proof. Made i..
Hardened 7mm Steel Shackle Dual Locking Levers Precision Pin Tumbler Mechanism Suggested Uses: S..
Burg Wachter. 65mm Shackle. Long Shackle Solid Brass Body Hardened Steel Shackle, Double Bolted .. High-Tech Steel, 11mm Shackle Dual Ball Bearing Deadbolt Locking Case Hardened Steel Protects Cyli.. 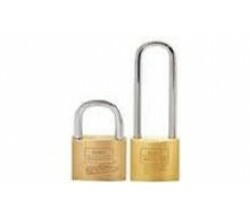 The classic Master Lock laminated steel padlock, invented by company founder Harry Soref and built t..
Hardened Steel Shackle Solid Brass Body Double Locking Shackle 4 Digit Programmable Combination ..
Hardened 9mm Steel Shackle Dual Locking Levers Precision Pin Tumbler Mechanism Suggested Uses: G..
Hardened Boron Alloy Steel Shackle Reinforced Laminated Steel Lock Body with Exclusive Weather Toug..
Hardened 11mm Steel Shackle Dual Locking Levers Precision Pin Tumbler Mechanism Suggested Uses: ..
Burg Wachter Cylinder Block Lock Solid Brass Body Hardened Steel Shackle Rustproof Interior..
High Tensile Multi Strand Steel Cable for extra Resistance to Cut and Pull attack methods. Anti Pic..
Burg Wachter 380 (H) x 285 (W) x 105 (D)..
Burg Wachter 205 (H) x 160 (W) x 75 (D)..
Burg Wachter 310 (H) x 235 (W) x 75 (D)..
Burg Wachter 280 (H) x 215 (W) x 70 (D).. Choose your own Resettable Word Combination Solid Brass Body 10,000 choices..